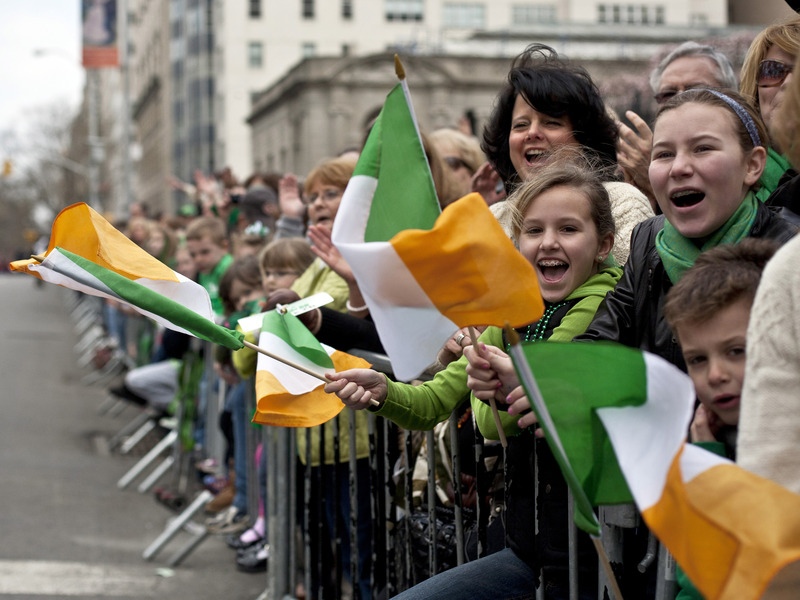 St. Patrick's Day is arguably one of the cheeriest — the word being open to loose interpretation — celebrations in a number of countries, but in New York City, the festivities are taking on a more political tone, as Mayor Bill de Blasio might eschew Manhattan's St. Patrick's Day parade again this year for its lack of inclusivity of LGBT groups. Last year, following de Blasio's absence at the parade and the pulling out of one of its major sponsors, Guinness, to protest the organizer's policy against displays of gay pride, the organizing committee of the largest St. Patrick's Day parade in the world finally relented, announcing that they would allow one LGBT group, OUT@NBCUniversal — an organization representing gay employees at NBC, which broadcasts the parade — to participate in the 2015 march. I’m not ready to commit to marching, because all we’ve heard is that one delegation related to NBC will be allowed to have members of the LGBT community in it. A lot of people feel, I think rightfully, that that is too small a change to merit a lot of us participating who have wanted to see an inclusive parade. [It is] obviously a pretty narrow concession, and I think we’d like to see something that’s more inclusive. This change of tone and expanded inclusiveness is a gesture of goodwill to the LGBT community, all the while remaining loyal to church teachings and principles that have guided the parade committee for so many decades. Though it might be somewhat fantastical to expect the committee to perform a 180 and welcome the entire LGBT community with open arms immediately, their decision last year is undoubtedly a step in the right direction. But, personally, I think de Blasio — the first mayor to skip the Manhattan parade in 20 years, according to The New York Times — is justified in boycotting the parade, because sometimes people just need a little push in the right direction. Although Guinness, it seems, is pretty satisfied with the tiny step of progress, having come back on board as a sponsor this year.